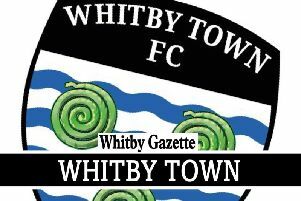 Sleights Reserves have withdrawn from the Scarborough News Saturday League following a mass exodus of players. The third division outfit, who were set to embark on their fourth season in 2016/17, expressed their regret at having to fold, but revealed that they were left with little option due to a lack of playing personnel. A club spokesperson said: “It is with great regret that Sleights Reserves have decided to resign from the league. “We’ve had three seasons and desperately wanted to start a fourth in September, but with virtually our entire team moving to form a new club, we haven’t got the resources. “Instead, we have taken the difficult decision to throw our weight behind the first team for the coming season and hope to regroup a second side as soon as possible. Joining the Saturday League in 2013/14 following the first team’s promotion to Division Two the season before, the villagers’ second string finished second from bottom of the table in their debut campaign. The following season they finished in last place, but an improved showing in 2015/16 saw Rob Winspear’s charges end up eighth out of 12 teams. Their resignation comes just over four months after top-flight Whitby RUFC also folded due to a shortage of players, leaving just Whitby Fishermen, Fishburn Park Reserves and Sleights’ first XI as the town’s established Scarborough and District Saturday League representatives.